← Arghhhhh You Sure That First Answer’s Incorrect? 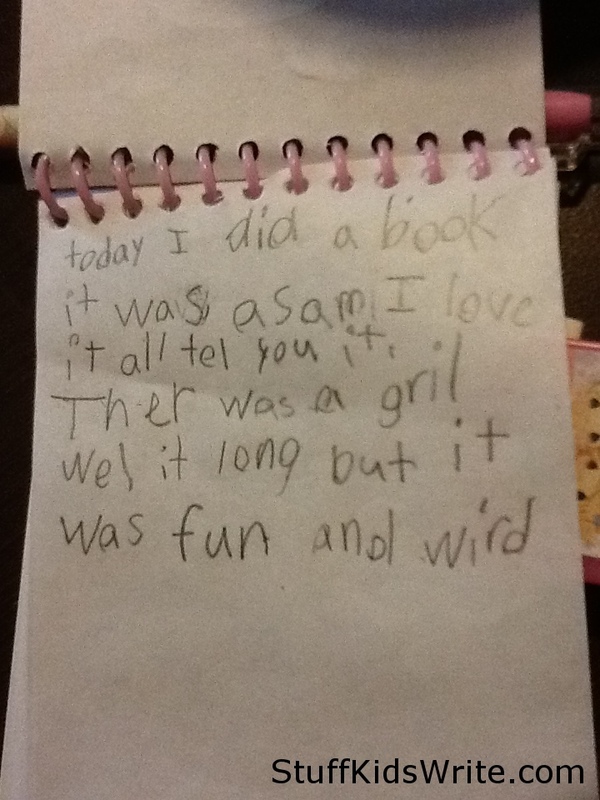 Posted on January 15, 2013, in Misspelled, Notes, Stories and tagged book reviews, children writing, CliffNotes, funny kids writing, Humor, kid writing, misspelled words, Stuff Kids Write. Bookmark the permalink. 3 Comments. I agree. That’s pretty asam! I think her parents have a future blogger on their hands. I think i’m going to start an asam text message revolution with that word! ASAM! This is brilliant, Love Asam!